Do you remember Ukita Hotaru, the leader of the Medical Class whom you met in the Special Jounin Exam? She is a born genius ninja – apart from the superb healing skills and chakra recovering techniques, she is also a user of Icy Crystal, a secret talent that allows her to combine wind and water-based jutsu to create ice in which she can manipulate. Icy Crystal is a talent invented in the Village of Ice, by their Hajime-Kage. Many years ago, when the country was still chaotic, villages attacking each other, people started war just for the sake of survival, at that time, the Village of Ice was not formed yet, and the Ice Hajime-Kage, who was still an ordinary ninja with some followers, felt the need to gather more people to protect themselves against invasive and malevolent ninja, hence, being a wind-based ninja who also mastered the water elements, he trained intensively and finally created the talent of Icy Crystal, and established the Village of Ice. With this icy talent, the Village of Ice enjoys a giant shield because the freezing temperature and the frozen ground keep wild animals and heat-based attacks away. 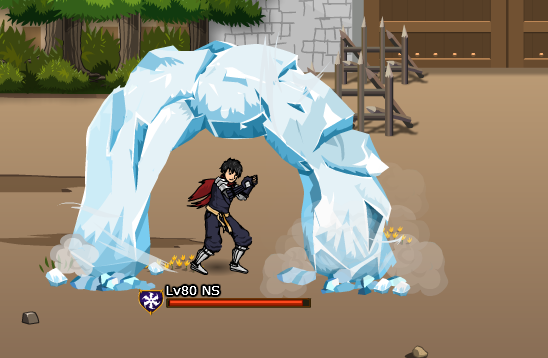 Users of Icy Crystal are usually wind or water-based ninja who master both elements. With the use of the talent, they can freeze the water in the air, and manipulate the form of ice at their will. Besides, their bodies emit cold current, which solicit frosting when wind or water jutsu is used. Later on, after their Nidaime-Kage has modified the talent with his battle experience and pursuit of artistic forms, the talent of ice can also be used in the form of icy mirrors, and are good at both defending and attacking. With the recent academic alliance formed between the Village of Ice and the Village of Fire, some talented jounin got to learn this splendid talent, including Hotaru. Will you be the next icy ninja? With the earlier launching of the talent reset function, a lot of players have been asking about new talents, and here we are, introducing you a new secret talent, Icy Crystal! While the game designing team was still discussing (or arguing) which talent should be lived next some time ago (yes, we do have a lot in mind, plus you have inspired us with a lot of amazing ideas! ), we are aiming to put forward something spectacular yet aiding in nature. Since the idea of ice has been in our plan since the very beginning of talent development (we voted it out for Demon Sound, Explosive Lave, Hidden Silhouette and Enraged Forest! ), we guess it’s almost time to freeze or be frozen! The talent of Icy Crystal, similar to other secret talents, has 2 active skills, Secret Icy Crystal: Hakukage Horo and Secret Icy Crystal: Icy Kaleidoscope, and 1 passive skill, Absolute Zero Zone. Let’s have an overview of them here. Absolute Zero Zone is the first skill you will have to nail in the skill tree of this talent. 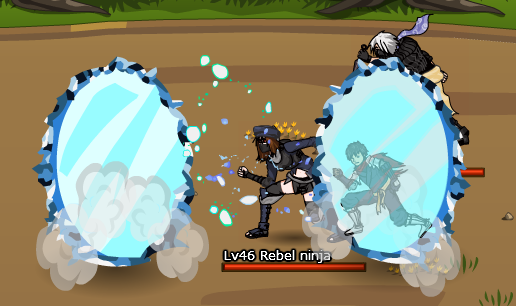 After you have acquired the skill, whenever you successfully hit your target with water or wind ninjutsu, your target might be frozen, up to 11% if you maxed the talent skill. Although the damage to be taken will be reduced by 30%, but a frozen target cannot take any actions. In other words, Absolute Zero Zone gives you chance to control the battle. Currently only the reindeer and snowman pets know how to freeze targets. Will you be the first ninja to master it? Once you learnt Absolute Zero Zone, you may choose to learn either one of the active skills. Hakukage Horo is one of them. When one uses Hakukage Horo, every drop of water in the surrounding air will be formed into an arc of frost around the user to act as a shield – to reduce the damage he will take, and also revenge the attacker by reducing their chakra. This is a very useful defensive skill not only because it reduces damage, when an enemy attacks you, he will consume much more chakra than he planned to. As a talented ninja, you certainly know how important the role of chakra in strategy planning – the use of Hakukage Horo will disable your enemy from effectively deliver huge damage! Create floating mirrors made of crystal ice to trap your target! Being the only invasive skill of the talent, it is also an eye-catching, fabulous one! Once you launch the Icy Kaleidoscope, your target will be trapped in the icy mirrors, one in the front and another one at the back; with the defining sheer speed, which is a defining battle trait of wind-based ninja, you swiftly move between as if you are teleporting and attack from the two mirrors, and knock down your target. If your enemy is not KO-ed with it, don’t worry, in the coming 2 turns, attack him with wind or water ninjutsu; he will take extra damage! Hope you like the new talent! Explore More of Your Talents! According to an unofficial research, defensive players who mainly use wind and water prefer Dark Eye as their Extreme Talent and Enraged Forest as their Secret Talent, while offensive players whose primary elements are fire or lightning usually use Deadly Performance as the Extreme Talent and Explosive Lava as the Secret Talent. This is largely because those talents can assist them on what they lack, either the damage, or the locking effects. However, when the Talent System was launched in September 2010, obviously most of us were too excited or perhaps too obsessed with some special skills, or with the graphic and animation that we could relate ourselves with, we might have probably chosen the wrong talent for our ninja! So, here we come – the function of resetting your talent, extreme or secret is now available! Click the “Talent” icon in the bottom right corner. Find the “Reset” Talent button on the top and click it. You will need Ninja Seal Gan to reset a talent. You will be asked to purchase Ninja Seal Gan after you clicked the “Reset” button. 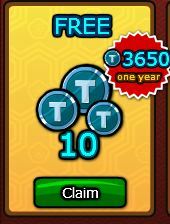 Free users need 3 Ninja Seal Gan to reset a talent, and premium users need 1. Final step! Just type “reset” in the pop up box to confirm, and then you will be able to acquire a new talent! Just a kind reminder: the talent will be immediately erased, and the TP you used in upgrading the erased talent will not be given back, so, think carefully before you reset anything! Besides, we are now planning on fine-tuning battle events and some attributes, as well as designing new talents. Do consider what the best for your ninja is and make the right move! 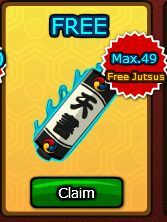 And don’t forget to check our game news regularly – free Ninja Seal Gan might be given out from time to time! Have fun! Ninja is all about team work – how can you complete tough missions and progress in the dangerous journey without the assistance of your friends and some really strong gears? Now, both your wishes can be fulfilled in Ninja Saga! New special items which will not be available in Shop will be given for FREE if you have successfully invited your friends into Ninja Saga! 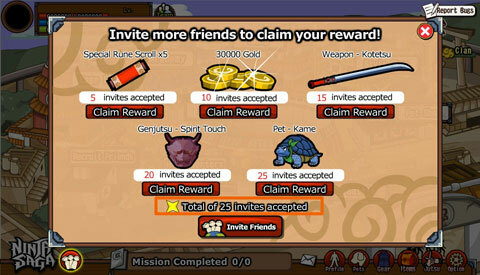 Special Rune Scrolls that heal and charge, a lot of Gold, Katana that damages your enemy and heals you at the same time, Genjutsu that fears enemies, and a tortoise pet which genin may also use, how about collecting them all?